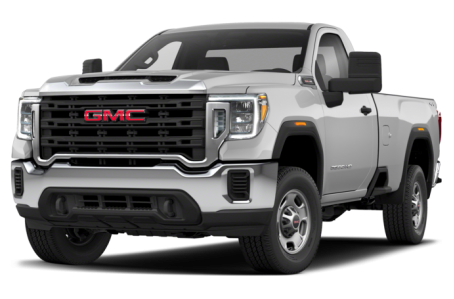 The 2018 GMC Sierra 2500HD is a heavy-duty, full-size pickup truck with a maximum payload/towing capacity of 3,534/18,100 pounds. It is offered in regular, double, or crew cab body styles. Regular or long bed lengths are available. Regular cab models only come in the long bed.